2.18.07 Daniel Bourgeois-Capozzi has won the 2006 - 2007 University of Maine Chess Championship, which was open to undergraduate and graduate students enrolled full-time at the University of Maine. The runner-up was Colin Campbell, and third place was taken by Brian Chick. Dan Bourgeois-Capozzi was home schooled until high school and is now a first year student majoring in Environmental Policy and Sociology through the Honors College. 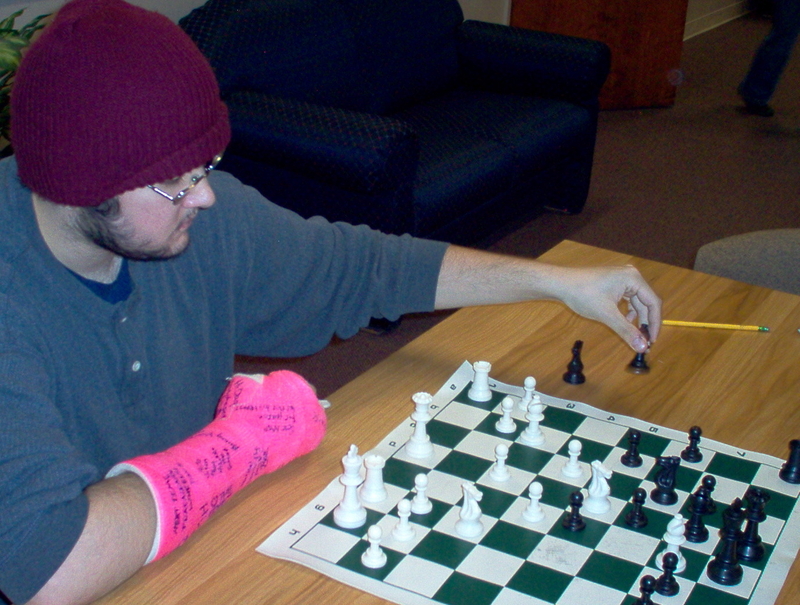 Dan is not only an avid chess player and secretary of the University of Maine Chess Club but he is also an activist for many issues. He is debate captain for the University of Maine Forensics, the secretary for the College Democrats, and an employee of the Maine People's Alliance--where he organized grass roots pressure and lobbying support for Dirigo Health, a more comprehensive universal healthcare policy, against TABOR (the so-called taxpayer bill of rights) and against the privitization of social security. In New York, he worked on Hillary Clinton's first campaign. Congratulations to the newly-crowned University of Maine Chess Champion, Dan Bourgeois-Capozzi.